Let the love flow in the Dolce & Gabbana Kids™ Royal Love Sweatshirt. Ribbed neckline with contrast color stripes. Glittery brand patch and with "royal love" graphic featured in front. 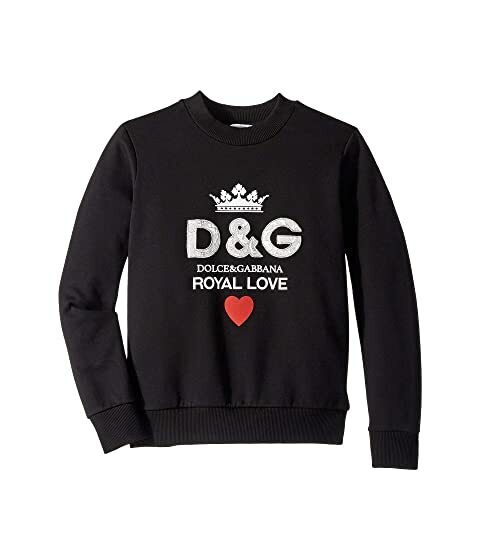 We can't currently find any similar items for the Royal Love Sweatshirt (Big Kids) by Dolce & Gabbana Kids. Sorry!